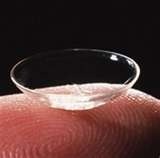 As a prescription health device, contact lenses must be monitored on a regular basis. Follow up examinations are very important so we can check your adaptation to contact lenses and assess your eye health to ensure safe and successful contact lens wear. Your compliance with our professional care and advice is essential for successful long-term contact lens wear as well as vision preservation. It is our goal that you wear your lenses comfortably and safely at all times. ALL CONTACT LENS PRESCRIPTIONS EXPIRE AFTER 1 YEAR. Click on the link below to email us if you'd like to reorder contacts. Please include your name, phone number and how many boxes you would like per eye.